Pear (Pyrus communis): growing, planting, caring. Hardy, even when grown in a pot. Pear care doesn't require any special knowledge in particular, and homegrown fruit is always a treat! There are over 1500 varieties of pears. Certain commercial barriers have limited the selection to a dozen or so varieties for the mass market, but this is no concern for home gardeners who are free to choose the kind of pear that appeals the most to them. This includes summer pear varieties, as well as autumn and even winter. Keep in mind that summer pears cannot be stored for more than a few days. Late pears providing edible fruit all winter long are quite popular. Adaptation to a region's climate varies greatly between different pear varieties. We recommend researching which varieties are known to do well in your area. Your local garden shop is sure to know! Pear trees enjoy different types of soil (depending on their rootstock), as long as its moist, well-drained, and rich in nutrients. If you want your tree to flower and bear fruit, be sure to choose a sunny spot. The pear tree is a tree of the Rosaceae family, native to the temperate regions of Europe and Asia. Medium sized tree, it can reach ten to fifteen meters high and live up to 200 years. Leaves with an oval blade, finely toothed on the margin, white and clustered in corymbs, measure about eight to nine centimeters and appear in April-May. There are more than 1500 varieties! 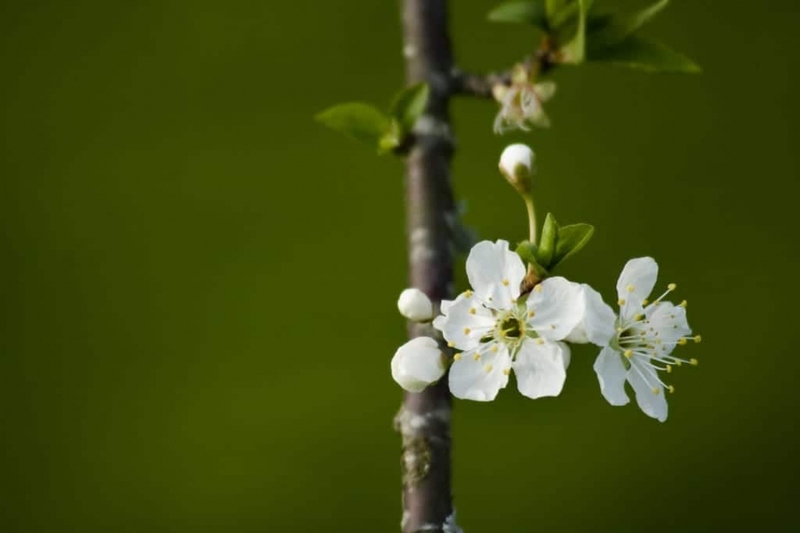 Pear trees are not self-fertilizing, so if there aren't any around, plant more than one. Choose a sunny location with ordinary-to-rich, drained soil. Keep in mind that the preferences of your pear tree may change according to the rootstock used. Ask your nursery owner, or the neighbour who gave you the plant! Since it flowers fairly early, find it a sheltered location in order to protect it from the last freezes. Planting bare roots is only done in winter where as you can plant trees with a root ball and those in a container until spring. With bare roots, carry out a treatment (shorten the roots and soak them in a mixture of soil and compost). Plant in a hole that is about 20 cm bigger than the root ball, gradually put the crumbled earth back by regularly tamping down around the roots. Water after planting with at least 50 liters of water that you will pour into a basin formed around the trunk. A tilted stake planted in the hole will be useful against strong winds as long as you don't forget to remove it after 2 year, and that you use a supple attachment. Pear trees are sensitive to leaf parasites like aphids, red spiders, powdery mildew, pear scab (which destroys the fruits, and may be stopped by burning the dry leaves in autumn) and caterpillars, but attacks against it's foliage aren't too much for the tree to hand. Tree cankers and fire blight are more harmful. To fight against pear scabs, you may strengthen the foliage by spraying it with liquid nettle or horsetail manure. To fight against moths, think of their natural predators, primarily bats and insect-eating birds such as chickadees. Install a few birdhouses suited to each of these species. In May and June, little pears will appear. If the number of fruits per bunch is important to you —some varieties will produce more others, such as the French "Louise-Bonne d'Avranches" or "Duchesse d'Angoulême" pears... – you may choose to thin them out, only keeping the best fruits, one or two pears per bunch. After thinning them, you can carry out a process known as "bagging", which consists of wrapping the young fruits in little paper sacks in order to protect them from ravenous moths and wasps. You'll remove the protective paper fifteen days before harvest. Two years after planting, you can - and must - remove the support pole: it is no longer used, and could even hurt your tree!